This product cannot be ordered. 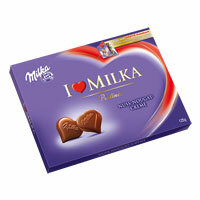 A box of "I love Milka" quality chocolates or similar. Adding extra "sweetness" to your flower surprise! Blue sky, warmth and sun. 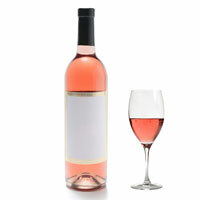 Now is the perfect time to upgrade your flower or plant surprise with a lovely bottle of rosé wine. 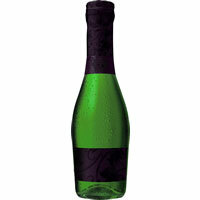 Perfectly light and mild it adds the little extra to your surprise. To make your floral surprise perfect, add a beautiful greeting card. The cards on display are just a examples how your card could look like. 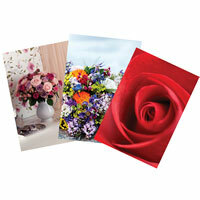 Our florists will select a greeting card in accordance with the occasion you pick. 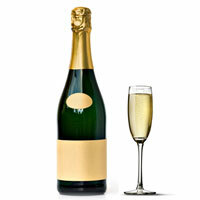 A bottle (size: Imperial 0.75l) of refreshing sparkling wine. 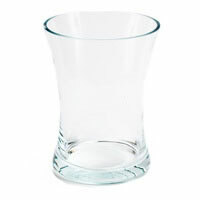 Addign the extra fizz to your flower or plant surprise! Scenting flowers and sizzling bubble - perfect! 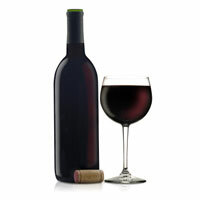 A bottle of classic red wine (0.75 l). Not just a sophisticated extra to a red rose bouquet! 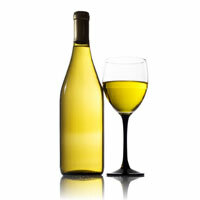 A bottle of classic white wine (0.75 l) being the "cream on top of the cake" of your flower surprise! A box of mixed quality chocolates. 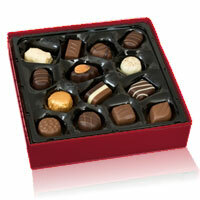 Flowers and chocolates can never be wrong and therefore are a safe bet to delivery surprise and joy! 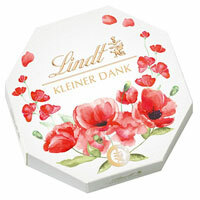 Delicious Swiss pralinés (100gr.) made by famous chocolatier Lindt. 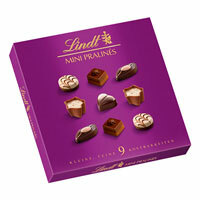 Each praline (9 pieces) comes with a seductive filling and lovely decorations. The timeless elegant purple box makes it the perfect extra to your flower greetings. 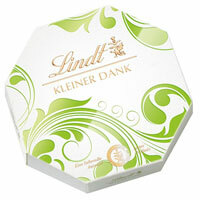 Delicious Swiss pralinés (100gr.) made by famous chocolatier Lindt. 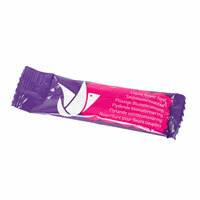 Each praline (9 pieces) comes with a seductive filling and lovely decorations. The timeless elegant blue box makes it the perfect extra to your flower greetings. Delicious Swiss pralinés (100gr.) made by famous chocolatier Lindt. Each praline (9 pieces) comes with a seductive filling and lovely decorations. The timeless elegant turquoise box makes it the perfect extra to your flower greetings. Adding a glass vase to our flowers makes the surprise even more classy. 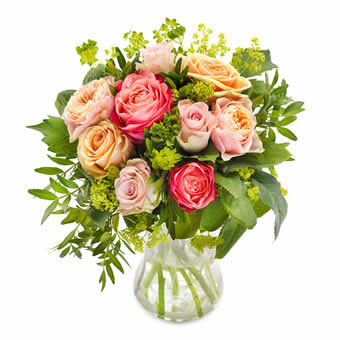 The recipient can place your flower gift straight away – no cutting flower stems, no vase or pot searching and no messing around with water. The perfect extra to enjoy your gift straight away! A special person does not only deserve the most wonderful bouquet of flowers but also the finest pralines. 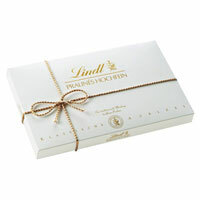 This selection of fine Swiss Lindt pralinés is the perfect seductive extra to your floral present! Your bouquet will be wrapped in cellophane. This just doesn’t make it more shiny and luxurious but also protects the precious flowers from the rather season’s poor weather. Flower food for your bouquet. Although all our flowers are comg directly and fresh from florists adding this little extra helps keeping your present alive even longer. Add a final touch to your flowers, by adding a gift card with your personal message, elegant wrapping paper/cellophane and flower food to be able to enjoy the flowers as long as possible. The local florist will deliver these items together with your chosen product. You save more than 10%!